I believe that every literature student develops a literary crush on the words of John Keats. I don't know of anyone would could put words together in such a lush, mellifluous way or who combined beauty and tragedy so closely. And then they mention Keats, as one possible way to help get her in this mood of melancholy. He did write "Ode on Melancholy," after all. And "When I have fears that I should cease to be," which is all about contemplating his upcoming demise (he died, as you probably know, at only 25). Then we mustn't forget "Lines supposed to have been written to Fanny Brawne," in which he paints a picture of his living hand that he reaches out to his lover being instead a dead hand in a tomb--that one's fantastic. Sometimes I do have to read Keats when I'm already in a sadder type of mood--and other times I know that I should not read him because that'll tip me over the edge into too negative of a mood. Often I just have to sit and read "Bright Star" over and over again because it's become a kind of muse for me. "Ode to a Nightingale" is a kind of reminder of what fiction is and can do: it exists in that space between reality and imagination, accompanied with flawlessly beautiful language. I have been reading The Complete Poems of John Keats for quite a while now. The going is slow because I rarely read more than a few pages at a time: there is so much to absorb. And often I get distracted and turn away from the marked page to go back and read some of my favorites again. 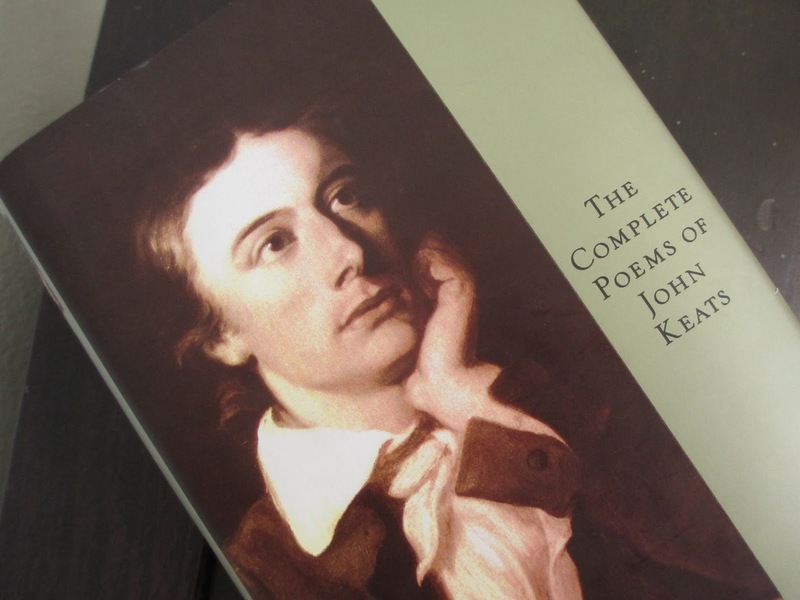 They say, in general, that it's best to read poetry aloud--but with Keats, it's like there is a unseen force that simply compels you to read at least some lines out loud. Your mouth just wants to form these clusters of words because they look so ripe. And then that makes all of the tragic beauty settle in more--and you're right in that specific mood that straddles the line between melancholy and exultation. The mood of poetry. Fourth of July is almost here, and you know what that means (well, besides the fact that I'll be draping myself in red, white, and blue for a week): it's time for another book sale. Get yourself or a friend a little summer reading. 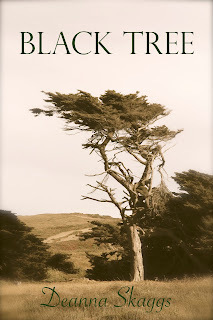 Paperback and hardcover copies of my novel, Black Tree, are 30% off at this link only. Enjoy. The sale will continue through Tuesday. And though the sale is only at the above link, remember that you can always buy Black Tree from the other major retailers if you prefer. I have been lonesome lately, without entirely realizing it at first, for my dear old nineteenth century fiction. I took something of a break from it after college because I was finally able to read other neglected categories, including many new publications. Years later now, I've found something missing. I've been feeling like it's time for another reread of Jane Eyre, which I've been reading about every four years for a while now (and I'm getting overdue for the next reread). And reading Ruth Goodman's How to Be a Victorian (which is a wonderful non-fiction book that I'll post about after I've finished it) has made me think anew of all the little nineteenth century cultural things that I learned from growing up on Victorian fiction. Suddenly I had a strong desire to reread Louisa May Alcott's Little Men (the sequel to Little Women). Little Women with Winona Ryder was a familiar movie when I was in fifth grade, and I read its book in sixth grade, which launched the reading of as many of her books as I could get my hands on (I remember going to the bookstore to inquire after Under the Lilacs and another title and being disappointed that the stock was just Little Women and Little Women and Little Women, so to this day I still have not read Under the Lilacs). Little Women I did reread quite a bit for the simple fact that (along with the Little House on the Prairie series, Anne of Green Gables, and Black Beauty) I owned it. Little Men I read from the school library (one of the many books that I checked out there that had sadly hardly been read by anyone else). Its sequel, Jo's Boys, I ended up reading online. This was a novelty: having a computer at home was a new thing, as was this exciting concept of free books to read online (I don't think I even knew the phrase "public domain" yet, though I think I understood the gist of it since it was plain to see that only the dear old "classics" were available to read in this way). Fortunately I once picked up a set of vintage Louisa May Alcott books at an antique store, so when the aforementioned desire for a reread came up, I had the books on hand (I don't read online anymore--it just doesn't suit me). As soon as I started, I knew I would have to read both books because my mind was starting to recall all the little scenes more quickly than I could read them all. Both these books are quite sappy, possibly even more so than Little Women. And yet the fact that they contain generally realistic sappiness makes said sappiness endearing and the images of each scene permanent in the mind. Especially since I read these stories at that age where memory is . . . strong and seems to recall every detail, rereading them transported me back. Little Men is a good book, I was almost surprised to find. I guess after reading the Eight Cousins duo, my interest in Alcott started to wane (Eight Cousins was generally good, but since its sequel, Rose in Bloom, seemed to consist mainly of Rose proceeding to date all of her cousins one by one, it got to be a bit much for a modern perspective). But she did have a particular power of storytelling. She could paint a picture of a family community and all of the various members therein and she could strike right in at the stories that we would most want to hear, the stories of happiness, sorrow, and humor. And she gives everything a good moral angle, which is very similar to that of the Little House TV series (the books were too straightforward to include this sappily heartwarming and yet also quite stark morality). By the time you get to Jo's Boys, all thoughts of quality fade because you're simply invested in seeing the last scenes with these characters. Little Women, you'll recall, is in two parts; while they're published together now, it used to be that the second part was separate and titled Good Wives. So the style with Little Men and Jo's Boys is similar to that of Little Women and Good Wives, except that ten years pass in between instead of just four and there are more characters. I always quite liked Nat: that opening scene where he walks in to find such a welcome at Plumfield won me over right away. This time I was amused to see that Jo really doesn't like Nat that much; I didn't remember that from before. And Dan didn't seem quite as "bad" as I remembered, and in fact I did find him one of the more interesting characters this time. He's almost the heart of the story, the boy that Jo truly did need to rescue--personally. Nat would've just ended up in the street, dead physically, but Dan would have died spiritually if not for Jo's help. You see, the thing about reading these stories now versus at eleven years old is that now I'm looking at them with the same sense with which they were written, which is very much a nostalgic style. At eleven years old, you can't have nostalgia for being eleven. But when you go back later, then you see it. There was a time when I decided that Louisa May Alcott's books sat with a certain simplicity that made them less noteworthy, though casually enjoyable. Now I see so much more in them, and realize that the "simplicity" is entirely intentional. She was an intelligent, thinking woman, and it shows. While we, as modern readers, are apt to point out what we consider "outdated" elements, there are actually quite few of these considering how long ago she was writing--and even some bits, on further reflection, aren't as out of date as they at first seem. (I don't really have enough space in this post to give examples of what I mean.) There is much to learn from the morality of the Little Women/Little Men set, and it's all told in such a straightforward way. I always believed that it was important to know your own mind and make your own decisions about who you want to be and what standard you want to hold yourself to (this is why some people falter when they go off to college: they haven't learned to stand on their own two feet--if you learn this, then you can stand in absolutely any environment). And I see now that Louisa May Alcott was one of the sources that taught me this. So my nostalgia to see the old crew again led me back up to the present, showing me lessons I could still learn or things I could keep working at, things that never go away. It's been an interesting reading trip, and now I find myself utterly charmed by this group of characters. This is a recurring theme of late: I find myself explaining, once again, that I have been avoiding a certain brand of chocolate without remembering why. My eye just passes over Equal Exchange with a vague impression that their chocolate isn't interesting enough to look at. That could be true. 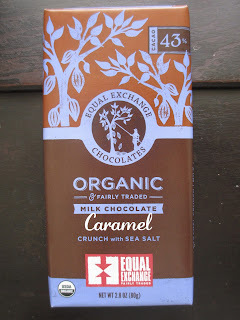 What did surprise me, however, was learning, after doing a search of my chocolate review archives both on this blog and on Chocablog, that I have never written a review of Equal Exchange chocolate. That is strange. I felt certain I had tried their chocolate at some point--but under what circumstances would I have done so in the last nine years without writing up a review? I am somewhat familiar with Equal Exchange in other contexts, though. I buy their tea sometimes. Normally I prefer to get loose tea, but since that isn't always an option, my favorite bagged tea (for the morning) is their Black Tea (which I do find I prefer to their Breakfast and Earl Grey blends). 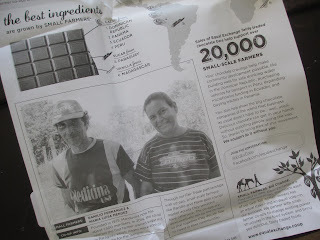 And lately I've been buying their cocoa powder, not because it's the best I've ever had but because it's the most readily available acceptable quality (and fair trade) cocoa powder I can find right now (Hershey's and Nestle cocoa powder will ruin a good recipe and simply aren't worth buying). 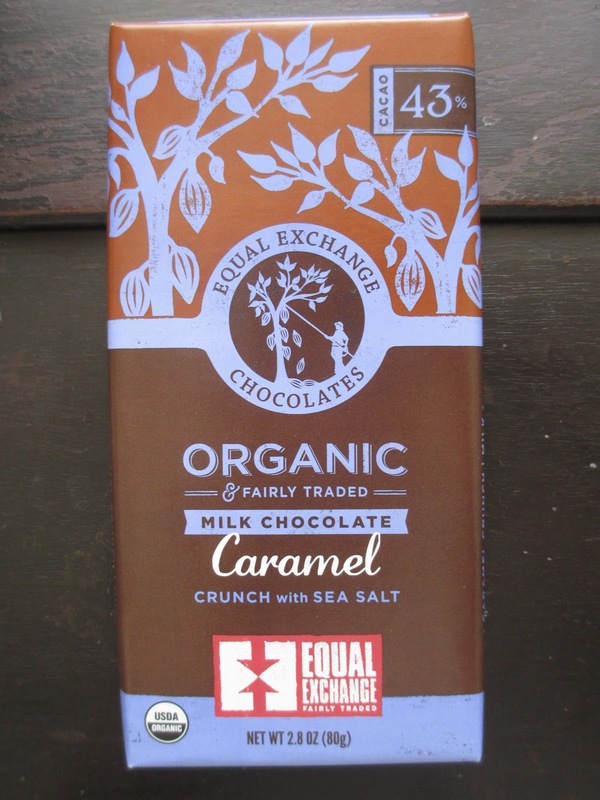 So among the many products that Equal Exchange sells is their chocolate. Milk and dark, plain and flavored. Today I have their Caramel Milk Chocolate, which seems to come with the full description "Caramel Crunch with Sea Salt." So I am also taking part in another recurring theme today: that of crunchy caramel, which I have come across lately from Tony's Chocolonely, TCHO, and Alter Eco (well, TCHO's was more aptly labeled as toffee, but it was the same type of product). I haven't much to say about Equal Exchange's packaging. It's neither amazing nor terrible, but it is recognizable. 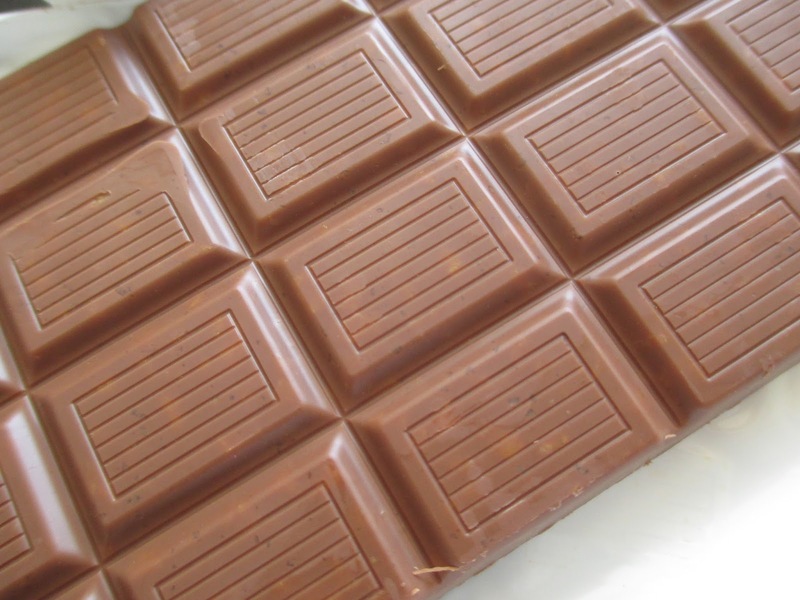 Similarly, the chocolate bar comes molded in a standard, plain shape with 18 little rectangles. Instead of being wrapped in foil, it comes in that sort of white film, the name of which I am not certain. The paper wrapper unfolds in the usual way to show some info about the company, explaining that Equal Exchange is a worker-owned co-op and that their cocoa comes from farms in the Dominican Republic, Panama, Ecuador, and Peru. It's more about fair trade than about the chocolate specifically. Now, as you can see, that chocolate has a 43% cocoa content, but does look paler than that to me. (That's another thing I keep saying lately, isn't it?) The back of the bar is smooth, but on the front you can see some of the caramel pieces showing through the pale chocolate. It smells of cocoa butter and caramel. And yes, the caramel is the same type of crunchy, toffee-like material I've been coming across lately. This is one of the less salty salted caramels I've come across recently, which I do find I prefer for the milk chocolate context. The bar from Tony's, for instance, had quite a bit of salt in comparison--which made it harder to eat too much of it at a time. This lower amount of salt works better, I find. There is nothing much to say about the caramel; it has more crunch than flavor. It's a nice enough bar of chocolate. It follows the same type of caramel effect I've been running into lately. The chocolate is casual, still in the confection/candy bar replacement zone. It isn't the best fair trade chocolate on the market, but it also isn't the worst. It's . . . average--and perhaps that's why I kept passing by this brand. It might be nice to have one brand that you can support across different types of products and this chocolate is fine for the occasional sweet, but I would need a little more attention to detail before I could give any higher praise. I never thought of myself as a daydreamer. Maybe because the word is so often associated with movie or book images of characters imagining that they're sword fighting in Medieval England or out on safari in the nineteenth century and then getting abruptly interrupted by someone calling out their name in reality. That's never what I did. It was always more that my mind had the capability of filling in all of the empty spaces in a day. During a long car ride, I might stare out the window to memorize the landscape and then start picturing the fellowship from The Lord of the Rings trekking across the hills. If the trip was to Flagstaff, I would instead picture the characters of Little House on the Prairie building log cabins in the woods. I would use whatever was physically in front of me to connect with these fictional people (yes, Laura and her family were real, but in this context they're fictional characters). In between moments are wonderful times to think. While sweeping or washing dishes or taking out the trash or preparing food. Sometimes the mind is so busy with the work of the day that it needs these moments to rest and think of nothing--and sometimes it needs these moments to run around and play its own game. When you don't need to be thinking about a particular something, where does your mind go? I remember I used to sometimes sit in my closet (yes, I had a stool in my closet where I would often go to read, and no, it wasn't a walk-in closet) and put on my headphones (the kind that came with the CD player--iPods were just barely coming out or about to come out at this time) and listen to the Space Mountain soundtrack and close my eyes and imagine every turn and every drop of the ride. In this way, I would imagine I was right there at Disneyland again. I don't really need to do this anymore: I'm more likely now to listen to "It's a Great Big Beautiful Tomorrow" if I'm nostalgic for Disneyland (even though it's a vintage song that doesn't even play in today's park) and I now know Space Mountain well enough that I can picture it and its music for a moment without the need for closed eyes and turning on the music. It's already in my head. I do that often, I suppose. Not pretend that I'm riding Space Mountain, that is--what I meant is that I often play back moments, fictional or real, in my head. No moment is ever dead if it still exists in memory. Is that what daydreaming means? That you can vividly picture Frodo and Sam's meeting with Faramir in Ithilien or a ride on Thunder Mountain or looking out at the Painted Desert, whichever image is calling to you? I am here. But my mind also knows when there is space for it to be elsewhere at the same time. This is that one week of the year where I would normally be saying, "Wow, it is going to be hot--it's going to be 110. It'll be 120 down in Phoenix." (The regular high over there for summer is more around 104, and Phoenix more around 114.) And now I'm in said Phoenix area, and it is weird to have the temperatures but none (or certainly less) of the views of the pretty land that creates such high temperatures. So I'm trying to settle into a different view of summer. Summer means food, in many ways. Lots of fruit and summery beverages. Tortilla chips and brownies. Casual food. So even though milk chocolate is perhaps more susceptible to heat than dark chocolate, milk chocolate feels more like summer to me in general. So let's launch the summer season with the Hazelnut Chunk bar from TCHO. If it's casual chocolate you want, you'll get exactly that right here. Although this is labeled as having 53% cocoa content, the color looks much lighter, more like 42% at the darkest. I would guess that this is because they added hazelnut butter (whatever that is) to the chocolate, so the 53% content is lightened in that way. There are also small chopped hazelnuts in there, along with just a touch of sea salt to bring out their flavor. The nuts are pretty visible on the back of the bar, but not at all on the front. I'm going to repeat what I always say: I love chocolate and hazelnuts together, but I don't like most chocolate hazelnut spreads (especially Nutella) because they're just made of oil and that comes across in the flavor. So coming from the idea of hazelnut spreads, it makes sense to combine the hazelnut with the chocolate into one smooth element--but then this bar also has those crunchy hazelnuts. At first I found them disruptive and unnecessary. Maybe they're there to give the feeling of "real" ingredients--but that should be evident in the flavor, anyway. I think, though, I have settled on the reason for their inclusion. 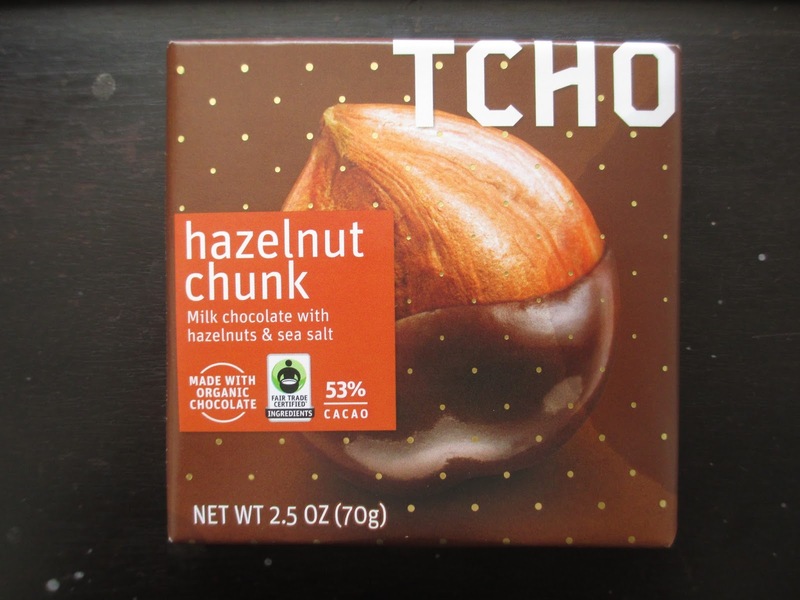 While the hazelnut-infused chocolate makes me think of hazelnut spread and hazelnut truffles, the addition of chopped hazelnuts intentionally distinguishes this chocolate and sets it in its own space. After all, if people eat hazelnut spread out of the jar with a spoon, then why do they need to buy a chocolate bar that replicates that same experience? And it isn't as if they're large hazelnut pieces. They add only a small crunch. Similarly, the sea salt appears in only some bites, as a light accent to the crunch. Nothing extraordinarily innovative or in your face. Just a couple of elements to add interest to the smooth, vanilla-flavored, hazelnut chocolate. It is, let me add, most decidedly a milk chocolate, just like the label says, despite the supposed 53% cocoa content. Maybe a little more flavorful and rich and less sweet than some (probably mainly because they added a lot of vanilla), but not at all like a dark milk chocolate. It's a nice bar of chocolate, a potential replacement for candy bars, cheap chocolate hazelnut spreads, and certain cookies. A simple flavored chocolate that is organic and fair trade. And it's also one of those bars that's difficult to stop eating: I've pretty much eaten the whole bar in two sittings and I never do that. Yesterday I finished Netflix's first season of Anne with an "E." I considered doing a post on why I disagree with certain of the choices made with the show, but then I decided that I don't really care enough to do so, nor do I necessarily want to be focusing on the topics that would come up if I were to do so. Instead I'll be talking about the idea of retelling familiar stories. The thing about this show is that, after the pilot episode, it's extremely different from Anne of Green Gables. So if you've read the book, you have to realize that the show is not the book, view it as something completely separate, and then go from there. It's loosely inspired by the book, and that's all. Watching it in this way, I was able to somewhat enjoy it--but I did find that certain things that the creators did to modernize the story in fact pushed it further back. The original story is in fact more inspiring and more modern in many ways than this "modernized" version. It's an artistic choice, though. And isn't that exactly what creators do when they adapt a book story to film or TV? Sometimes people try to replicate a book. This rarely works, however. The book needs to be short (in the case of a movie, at least) and paced accordingly and focused on, well, movie-like elements in order to lend itself to direct replication. So sometimes this approach can work--but usually attempting it will instead botch chances at success. Instead the creators must decide what specific elements they are trying to reproduce--and which they are going to change and in what way. Take, for instance, my preferred version of Jane Eyre (the 2006 version starring Ruth Wilson). Plenty of things are different from how they happen in the book. But there was a conscious attempt to keep the tone of what draws readers into the book intact. That fantastical, sometimes spiritual, sometimes brooding, fierce tone. That's what, to me, made this movie succeed. Consider one infamous TV series loosely based on a set of books, Little House on the Prairie. When you watch this show, you absolutely know that it isn't trying to replicate the books, especially after the first season. Everything is different, both the events and the characters. But that's because it was a long-standing TV show and so it had to have its own framework in order to last so long. A permanent location. The right flow of changing and permanent characters. Etc. What made the show successful, even though it was very different from the books on which it was based, was that it maintained the same sense of family, community, and perseverance and faith through hardship that the books offer. We don't necessarily need stories, especially TV shows, to exactly replicate the books on which they're based. Sometimes it's better when they're different: you can enjoy both without being constantly shackled by the need to analyze the changes. However, there does need to be a reason why the show or movie is aligning itself with a certain book instead of just creating an entirely new story that is still inspired by said book. Anne with an "E" reminded me most of 1998's Little Men. This was a TV series with just two seasons that was loosely based on the sequel to Little Women. Very loosely. At first I was annoyed at how loosely, but then I started to enjoy the show for itself--I think I even watched it a couple of times. Once again, the main thing about Little Men was the sense of community and family, and this at least stayed intact in the show. But the thing about Anne is that the focus changed. Here I have to mention that while I did enjoy reading Anne of Green Gables in sixth grade, I never loved it as much as other books; so the story is not so near and dear to me that I can't think straight. Sometimes I found Anne's imagination a bit much, and I lost interest as the books went on and never finished all of them (compare this with my assiduity in reading Little House books and Louisa May Alcott books). Let me get back to what I was saying about the show. Anne is the vibrant heroine of this story, the girl who randomly shows up on the scene and quickly inspires the other girls. She makes herself at home. And then they all, boys and girls alike, go off to college as buddies. She marries (well, not in the first book) her school time rival, Gilbert Blythe, because they were children then and they're adults now and things are different because that's how life is--it changes. It's a straightforward story. But the show introduces too much. It tries to set up a feminist story. It talks too much about marriage (Anne was just living her life, not concerned about how feminism and marriage fit together--don't we already have enough marriage plot stories without unnecessarily making up new ones?). There's more about education, which kind of works because it goes hand in hand with imagination. But overall, I don't get the incessant focus on socio-political elements. Anne gets lost in all of this, and her imagination becomes something strange, the byproduct of a troubled mind. It's no longer something to look up to. Anne herself is no longer someone to look up to because she is not the focus of the story anymore. The story is socio-political instead of imaginative. So you can't enjoy characters as people; you can only view them for what they say about society. And that's a huge change. That's why I have trouble with this retelling. I'm all for retellings that completely change a story while keeping the central theme intact (like SyFy's Alice), but if you want to change the focus, then why don't you just make a new story? Back when I decided to stop doing monthly favorites posts, I did mention that I might still do some kind of favorites from time to time. So today I have a short list of products that are specifically from World Market. You can get some of them from other stores, yes, but I like shopping at World Market and I like stocking up on points (they do have a good rewards program, which helps further motivate me to buy as much as I can from them versus from elsewhere). And while some people might think of World Market more as a decor store, they have a decent selection of grocery products--and not just the novelty items. Foco Coconut Water - World Market sells a box of twelve of these for about eighteen dollars. Three plain, three with lychee juice, three with pineapple juice, and three with mango puree. The only other ingredient they add (to the flavored ones only) is Vitamin C--and the juice is not from concentrate. I don't always like coconut water much, but I do like these, even the plain ones. They have a rich, sweet taste. The lychee one is probably my favorite; it tastes almost like strawberry. Zhena's Teas - I've brought these up on here quite a bit in the past. They're organic and fair trade and loose teas, which are the three main things I ask for in a tea. And they come in these nice little glass containers that you can reuse when buying in bulk. There are quite a few flavors, from plain black and green teas to flavored teas and herbal/floral teas, but lately World Market has mainly only been carrying the flavored and herbal types. Probably these are the leftover stock that aren't selling as quickly. Still, most of them are good. They're about ten dollars each. Vermont Maple Syrup - Though it is Grade A, this might not be the absolute best maple syrup I've ever had (though of course it all beats the faux maple syrups that dominate the market). It's still nice, though, and again, it's nice to buy a ten dollar item at World Market instead of elsewhere in order to get points. Los Cantores Tortilla Chips - These are a new product. I saw tortilla chips and focused my attention in excitement. Then I saw that they're non-GMO and decided they were worth trying. The lime flavor called my attention, and I am very impressed. They genuinely taste like someone just squirted plain chips with lime juice, sprinkled on some salt, and handed them over for me to eat. I don't think I've ever come across such a genuine lime flavor in a packaged product. The chips are on the thicker side, but not too thick. At four dollars for a bag, they're more Whole Foods non-GMO prices than Trader Joe's organic prices, but then again Trader Joe's tortilla chips are starting to taste a little cheap to me. If the plain chips from Los Cantores also win me over, this may turn out to be my usual brand of tortilla chips (said chips are, after all, a staple in my house). Cucina & Amore Pasta - I have had this brand of pasta before and if I'm not mistaken World Market has carried their products for a while--just not in this particular size/style. At two dollars for a bag of organic pasta, it's at an average price. And it's good pasta. So another nice staple to buy here. Mrs. Meyer's Dish Soap - The thing about this one is that, as far as I know, World Market has just recently started carrying the lavender scent. The lavender is my preference, but I used to have to either get it elsewhere or get a different scent. Mrs. Meyer's is a great brand if you're looking for a simple, more natural dish soap (and it's certainly more gentle on hands than other brands). I also highly recommend their laundry soap, by the way. TCHO and Alter Eco Chocolates - Let's finish on a sweet note. I've been reviewing a lot of chocolate bars from TCHO and Alter Eco lately. You can also get Alter Eco from Whole Foods, but I don't think I know if anywhere else (where I live, that is) to find TCHO. They each have a nice line of chocolate bars to please different moods and cravings, and they're both organic and fair trade. Lately I've felt like World Market's selection has been getting weaker. 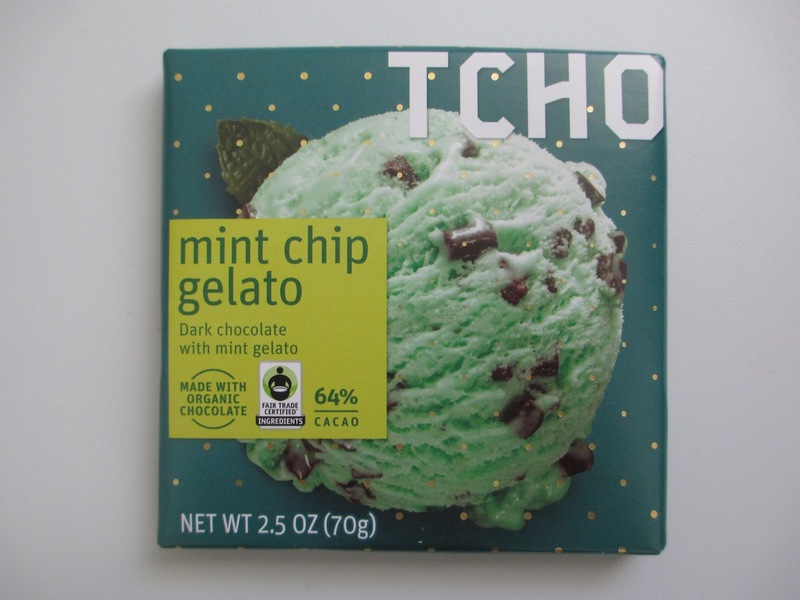 They sell plenty of British candy bars and plenty of Ghirardelli and Lindt and now they have their own label with a wide selection--but chocolate like what I've been getting from TCHO and Alter Eco is more what I want. So if they see that that's what we're buying, perhaps they'll continue to carry more of it. Eowyn of The Lord of the Rings and Jyn of Rogue One both come from similar circumstances and share many character traits and a similar character arc. Both characters live in a time of war and both are essentially orphans. Jyn is raised from a young age without her parents, and Eowyn's parents are both dead. Who raises them instead? A father figure, Saw Gerrera in Jyn's case and her uncle King Theoden in Eowyn's case. Interestingly, both of these father figures deteriorate in some way before the eyes of their "daughters." Saw becomes increasingly paranoid and questionable in his rebellion tactics, all of which makes Jyn uncomfortable to watch or take part in. Theoden basically falls into an uncaring lethargy that makes him unable to care for his land and his people--and this would presumably hurt Eowyn especially because she is someone who wants to be able to do more to fight for her people than she is allowed to do. This brings us to the wartime traits of both women. Saw trained Jyn because he knew that she would need to be able to take care of herself in order to survive. So Jyn in skilled both in various types of combat and in battle tactics. I don't see that Jyn likes battle, but she does like being successful and skilled at combat; especially when she is young, she gets excited to see what she is capable of. Eowyn is also skilled--but she loves war. At least, she thinks she does (before she actually takes part in it). Eowyn loves the idea that she comes from a people who are skilled in battle, and she relishes the idea that she shares that skill. She believes that this makes her mightier. Jyn is the rebel, but in fact Eowyn is much more rebellious than Jyn. Eowyn disguises herself behind a cloak to go with the men of Rohan to aid Gondor. She doesn't ask anyone's permission (because she knows she won't get it); she just goes. But Eowyn, contrary to how she is sometimes pictured, goes with a taste for death (which I'll get to later). Basically Eowyn leaves saying, I don't care how things are supposed to be done, this is what I want to do, so I'll do it. Jyn, on the other hand, is more forced by circumstances to take part in war. Jyn hates war because she sees what it does to people and how it ruins lives. You could say she's more mature than Eowyn in that regard. However, Jyn does still have a streak of defiance to her. Simply consider her defiance of war. She doesn't want to be part of the Empire or the Rebellion after seeing all of the questionable things that Saw was doing and causing. So she tries to just escape it all and stay under the radar (which, of course, she unable to do for long). Like Eowyn, Jyn isn't the type of person to let anyone tell her what to do. Now we come to the broken part of these two characters. They're both, at a certain point, unable to care about anything anymore. Not in the nonchalant sense of, oh, you can't hurt me with your words, all of that bounces off of me. Not like that. I mean that they literally can't bring themselves to care about anything. They're broken. You could probably say that they're both depressed, specifically by circumstances. Jyn basically feels like she has nothing left to live for. She's lost both her parents, she believes that her father has betrayed her, Saw Gerrera failed her, and she's constantly on the run. To her, the Rebellion causes more pain than it fixes. And so her own life hardly seems worth it anymore. Eowyn, as well, goes riding toward Gondor with too much of a fixation on death. She wanted to be with Aragorn because she wanted to be high and mighty, and now she sees nothing of worth left in her life, so she thinks that losing herself in battle is her only option now. Both characters are done with the mess that is life. For two characters who are praised for being inspirational, they're in very dark places. I think people tend to gloss over this darkness in favor of bland statements about "strong women." However. Both Jyn and Eowyn find peace, and therein lies the inspiration. When Eowyn takes part in battle, she discovers something she didn't go seeking. That is, she begins to discover it. Truly, her journey toward peace happens in the Houses of Healing, specifically during her time spent with Faramir. In battle, Eowyn sees death in reality--and sees that it is not poetic and grand. It is sad. She's still restless at first in the Houses of Healing, but with time she's able to let go of that restless spirit, that sense of discontent, and that desire for war. She tells Faramir that she will no longer be a shield maiden; instead, she will delight in all things that grow and are alive. She trades death for life. Now, Eowyn's happy ending can make Jyn's look rather bleak. However, Jyn's is just as happy, in a certain sense of the word. Jyn has been haunted since she was a child. When she leads the Rogue One mission, she has finally found something she is willing to fight for and a team that she is willing to stand with. She is able to die knowing that she has made the right choice, a choice that will make a positive difference, and that she has found a home. Jyn has been homeless for a long time by this point, so finding a home and family means everything to her. I also want to note that Cassian and Faramir are quite similar: they're both gentle-natured people who are born into a wartime setting and are very good at making their way in war. Because they're skilled warriors Eowyn and Jyn respect them, and because their personalities are not traditional warrior types (you can imagine them both being very content during peacetime) they're able to help bring these two haunted characters towards peace. During my first encounter with Tony's Chocolonely last month, I declared their dark chocolate similar in taste to Ghirardelli. I deemed this a favorable view. 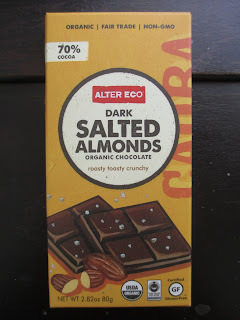 Now, I had planned to review their milk chocolate next, This time, however, World Market was out of the plain milk chocolate, so I chose the Milk Chocolate Caramel Sea Salt bar instead. Perhaps this was just as well: I may be enjoying the flavored chocolate more than I would have the plain and in this way I can comment on both the flavor and the chocolate in one go. The same style of wrapper this time is orange instead of blue. And the same bar design looks different in the much lighter 32% milk chocolate than it did in the dark chocolate. This bar smells nice and sweet and milky and caramely, like a confection shop. Breaking off pieces of the chocolate, I saw right way that the caramel is neither free-flowing nor stiff and sticky; instead, it is in little pieces like peanut bits. Given that this same type of thing just happened to me with Alter Eco a couple weeks ago, it would seem that the world has turned upside down on me and what I thought caramel meant is no longer so. This type of effect reminds me more of light toffee, but I suppose the distinction doesn't much matter. As I've implied, the tiny caramel pieces are crunchy. The salt accompanies them, so where there is more caramel, there is also more salt. Some bites have more caramel and some have less. Those that have more are almost too salty, but given that these are only some of the bites out of the whole bar that reach this level of saltiness, I'd say that overall the salt level is fine. 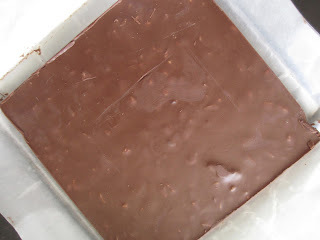 Because this is quick-melting milk chocolate and the caramel is crunchy, you do tend to taste the sweetness of the chocolate first and foremost and then begin crunching on and tasting the caramel (with its salt) more around the halfway point of each bite. The chocolate is a pretty standard milk chocolate; it's better than the average candy bar milk chocolate, certainly, but still what I would consider more in the confection range as far as taste goes. It's sweet and creamy and doesn't try to have extra depth. It's a straightforward milk chocolate, and take that as you will. My theme of late has been my craving for milk chocolate, so this big six ounce bar will certainly be welcome for those moments when sweet chocolate is simply all I want. While in general I tend to give more favorable comments to the darker and perhaps more luxurious milk chocolates, I do think that this bar serves a good purpose. For those who don't want a darker milk chocolate or for those moments when we all want something that's more candy-like, here is fair trade chocolate that will satisfy. I used to like to buy Rocky Mountain's plain milk chocolate bars every so often, and last time I passed by one of their stores, I looked in mournfully because I'm trying (in general) not to buy chocolate that isn't fair trade. So here is a chocolate that delivers that same sweetness and that same milky confection flavor while also reaching a more acceptable standard. After all my initial comments last time about disliking the Tony's packaging (I still don't really like it, but I'm used to it now), I now find that I wouldn't mind seeing their chocolate for sale in more places. This chocolate serves a purpose.